After seeing a video of a cake decorator using Russian cake decorating tips, I was amazed at the results and had to get a set to play with myself! 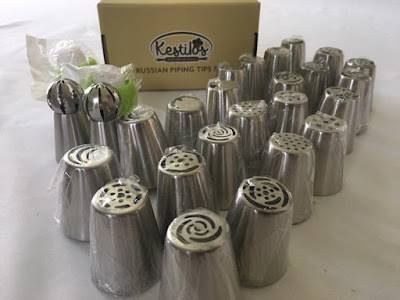 These Russian cake decorating tips from Kestilos is a great set that includes 23 tips, 2 sphere balls, 2 couplers and 5 disposable decorating bags! What makes these different is that they instantly create floral icing patterns in one motion as opposed to creating floral items one petal at a time. I've heard there is a learning curve in using them, as they are used best when piping directly in a vertical position. Regardless, I'm anxious to try these decorator tips on my next cupcake/cake baking project! With the summer produce season ramping up, I wanted to get a spiralizer to take advantage of some zucchini, squash and other vegetables available. 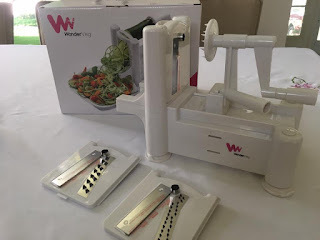 I am loving this spiralizer by WonderVeg. I like that this includes 3 separate blades and is used on the counter with a crank (as opposed to hand held ones). Zoodles are definitely in our future this summer! Baking is one of those tasks that is best when all the ingredients are weighed so that the results are consistent every time. 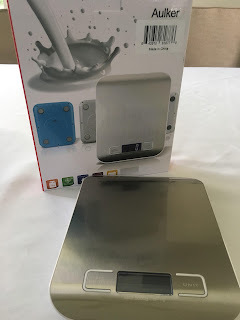 I was in need of a new kitchen scale and I'm currently in love with this digital scale by Alisten. Not only is it sleek looking, it is accurate and is big enough to weigh items of various container shapes and sizes. The scale also has a conversion button for weighing grams, pounds and ounces with an auto-tare function. This saves me from doing more math than needed lol. If you're planning on going camping this summer, hitting the beach or even sitting around a firepit roasting marshmallows, you will need this folding lounge chair by Roraima. Unlike the typical folding chairs out there, this has an extended footrest and padded headrest! Everything can be easily packed in it's on carrying bag too. The double cup holders are great to ensure you have cold drinks near by. Sadly I haven't had a chance to fully enjoy it... my lil guy has had too much fun with it lounging in the backyard! Now that summer weather is practically here, we've been craving sushi more often. It can get expensive going out for sushi, so why not make it at home instead? 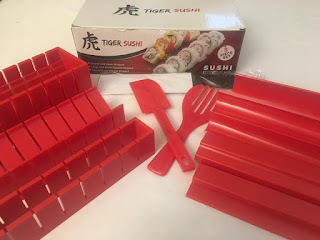 I got this Sushi Kit from Tiger Sushi and it's a fun product to use for a sushi night at home. 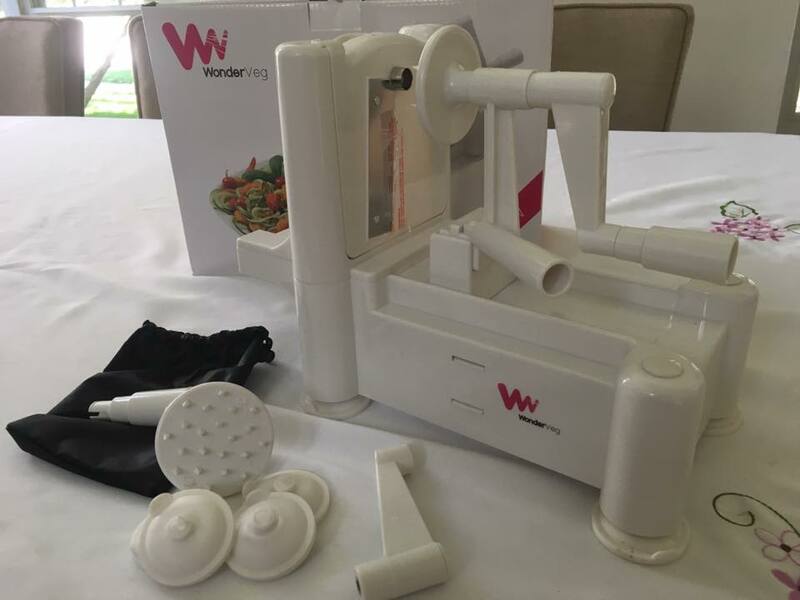 It comes with 11 pieces and allows you to make your customized sushi with the help of a couple molds for a variety of shapes. 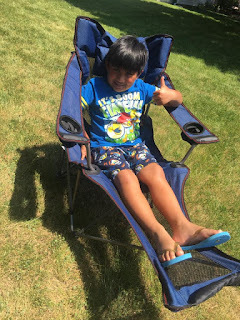 It's' so easy to use, my lil guy had a blast using them! Each kitchen should have salt and pepper handy. And if you're using pepper, I highly recommend a pepper mill or grinder for fresh ground pepper for both recipes and seasoning to taste. I recently got this Pete Gear Hub Pepper Mill and love it! 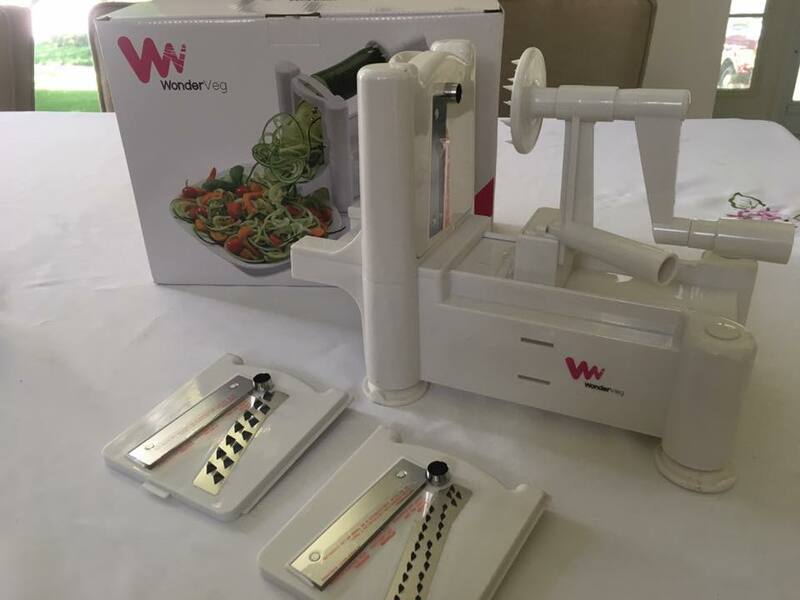 It's sleek design with functional use that's easy to use, you just can't go wrong!